We’ve all seen them, right? You’re driving with traffic through your city and someone is in a hurry. They rocket off the line at a green light like Jeff Gordon at Daytona. And then, there they are impatiently waiting for you at the next light where they do their jack-rabbit start all over again. Or, on the freeway you are cruising along at 75 in a 70 and someone goes blowing past you at 90. . .only to slam on their brakes because the guy in the truck next to you is also doing 75. So, Mr. Speed Demon bounces to the outside lane, where he gains a car length on the truck next door and cuts back. This erratic serpentine course keeps up for miles. Now, the Speed Demon has managed to open up a sizable lead on you. In fact, he passes a roadsign and you start counting. . .
His erratic driving has gained him less than 5 seconds. He put everyone driving on edge so that he could gain an advantage that is less than the amount of time it took you to read this post. We’ve all been in a hurry at times. And there are times where hurrying is really important. When my third child was born, my lovely wife indicated it was time at go to the hospital RIGHT NOW! We jumped in the car and raced the 15 miles to the hospital. My son arrived 15 minutes after we did. It helped that we were driving at 3:00am and the streets were clear. Another time, a different son developed a fever of 108.8 under his arm! We bundled him up and rushed for the car. This time the hospital was thankfully only a couple miles away. The doctors told us we got there about 10 minutes before it would have been too late. Yes, sometimes it’s literally a matter of life or death. But, those times are rare. Most times when we are hurrying it’s to get home, or because we’re late, or to catch a plane. None of which is going to be terribly inconvenienced if we’re late. Last week I was coming home from Shreveport, LA to Salt Lake City, UT. There are two flights out of Shreveport. You can fly through Dallas on American Airlines, or you can fly through Atlanta on Delta, (Because DELTA means Dang Everything Leaves Through Atlanta.) I was scheduled to fly through Dallas. 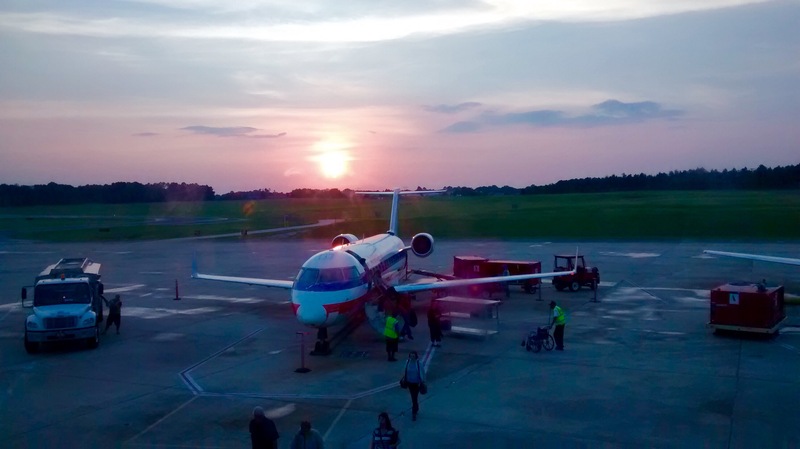 I was leaving Shreveport at 6:00pm with a 3 hour layover in Dallas. And then my flight out of Louisiana was delayed to 8:00pm. No worries, I could cool my heels in a waiting area in Shreveport just as easily as a waiting area in DFW. And then the flight got pushed back another half hour. All of a sudden my layover in Dallas was looking like a sprint in Dallas. I’d been gone all week and I was ready to be home. My coworkers got stuck in Dallas on the way out to Shreveport earlier in the week. They’d had to stay the night in what they described as a “nice” Motel 6. I really didn’t want to miss my flight. It was at this point that I thought about that guy hurrying on the freeway, or worse yet the guy racing from one red light to the next. As we boarded the flight, I considered, I had a 90 minute flight to get through. I was in a hurry, but at this point there was nothing I could do to hurry things along. So, I took a nap. If there’s nothing you can do, then you might as well do nothing and attempt to enjoy it. 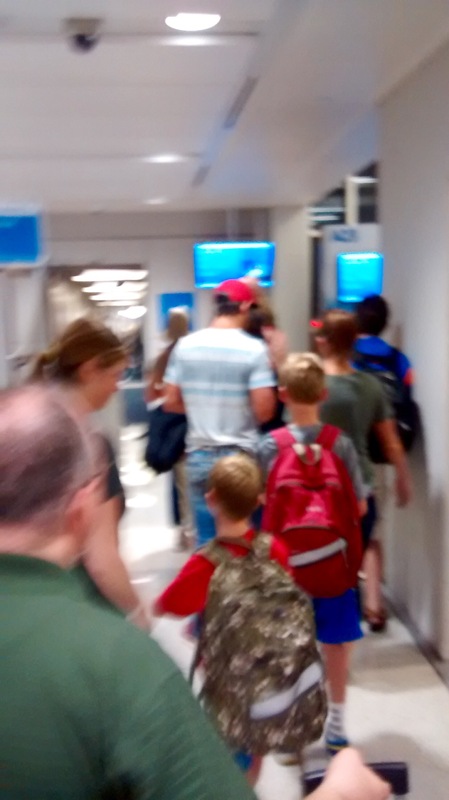 As we pulled up to the gate in Dallas, I collected my things and made my way off the plane. I’d done a gate check with my bag, so I was once again patiently hurrying as I waited for them to bring my bag to the jetway. At that point, I was off like a shot. We landed at gate E23 and my flight for Salt Lake was leaving in 25 minutes from gate A26. I sprinted for the train. 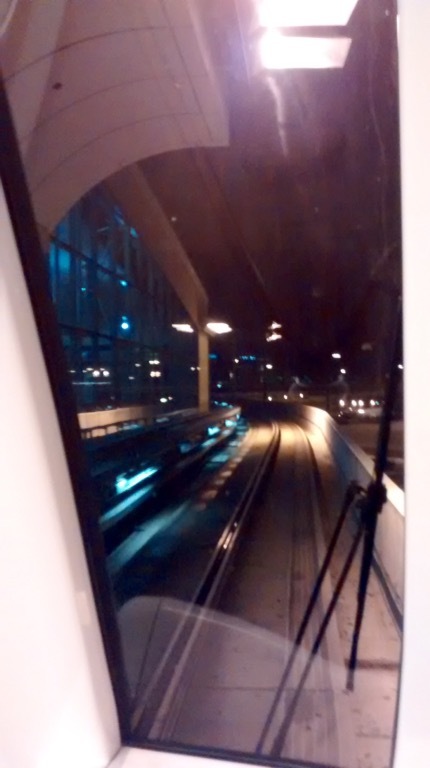 The Sky Train makes a regular loop between the different terminals. There are actually multiple trains and the wait for the next one is typically less than 5 minutes. As I got on the train, I realized that we were on the exact opposite side of the sparawling Dallas-Fort Worth airport from where I needed to be. There were A LOT of stops before we got to the A Terminal. So, I stretched out, relaxed and casually checked my emails. I wasn’t going to hurry this train along by pacing, or standing next to the door. I needed to patiently hurry. I made it to the gate just as the last group was boarding. 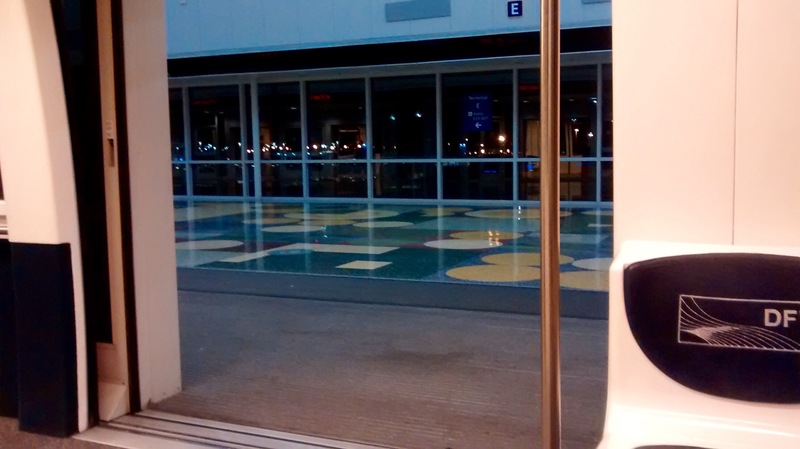 I gate checked my bag and walked past those already seated to my window seat toward the back. I had whole minutes to spare. At this point I had no more reason to hurry, even patiently. I’d be arriving in Salt Lake at midnight and I wouldn’t be getting home until about 2:00am. So, I took another nap. Learn to hurry patiently. It will save a lot of stress and you’ll get there just as quickly.